Due to high caries incidence, low patient compliance, and low usage of fluoride varnish by orthodontists, there appears to be a need for a better treatment modality for patients undergoing orthodontic treatment. Regardless of the exact prevalence rate for white spot lesion development, most dental professionals would agree that it is currently far too high. 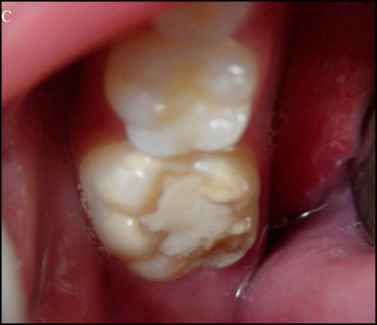 While adjuncts to treatment such as fluoride rinse can potentially reduce the incidence of white spot lesions, the required compliance of high caries-risk patients is dubious. Equally troublesome, available non-compliant and proven treatments like professionally applied fluoride varnish have failed to catch the attention of practicing orthodontists. The resin sealer (Pro-seal) seems to address the patient compliance issue, but if orthodontists have neither the time nor the interest to deliver fluoride varnish, their likelihood of investing the resources and chair time to etch and light cure Pro-sea! on twenty teeth is probably low. Aegis-Ortho bracket cement containing ACP seems to address all these issues. It does not require patient compliance, and it does not require any additional chair time in the office, since time allotted for orthodontic bracket bonding is already a part of the treatment plan. In spite of some reports, which document a low bond strength of its earlier generations, if ameliorated, this product holds immense potential for preventive care during orthodontic treatment. First however, there is a need to test and document the preventive properties of ACP-containing bracket cement with in-vitro studies.